I’m not going to steal all of Chad’s thunder from his minor-league updates (which will be monthly this season), but I just want to highlight a few of the Dodgers’ pitching prospects who have gotten off to hot starts. Of course, this post is mostly so I can write about Julio Urias, but there have been other impressive performances thus far. But let’s start with Urias. The 18-year-old is pitching in Double-A, which is a feat in and of itself. But he had a masterful start on Thursday night (5 2/3 IP, 4 H, 0 R, 1 BB, 10 K). His 14 strikeouts lead the Texas League and he has allowed just eight of 39 batters he has faced to reach base safely. The most impressive thing might be Urias’ pitch count. The Dodgers said they were going to turn him loose this season, and so far, they have. Urias threw 74 pitches in his first start, a then-career-best. Last night, he threw 89 pitches — you know, like a real-life starting pitcher. 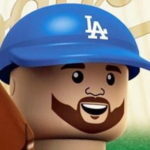 I agree with how the Dodgers brought him along. Now, it’s time to see what he can do with a regular workload. He isn’t the only guy at Double-A throwing well. Anderson’s finish to the 2014 in the California League was much better than his start. He worked extensively on his delivery and being consistent, and it seems to have carried over to Double-A. If Anderson can show he has three pitches (his changeup has been good so far), not only will he remain in the rotation, he will challenge Grant Holmes for best pitching prospect in the system not named Urias. He owns a 14.2 percent swinging strike rate (MLB average is 9.5 percent), which bodes well for him going forward. Oh, hi Zach. How do you like pitching outside of Pitcher’s Hell? Lee came off a strong 2013 in Double-A only to seemingly take a step back in Triple-A last year. He’s back in Triple-A, but this time in Oklahoma City and not Albuquerque. He had a better ground out-to-fly out ratio last season than he has at anytime in his pro career (1.54), and it’s even better through two starts (2.14). He also had roughly a 9 percent swinging strike rate last year. This year, he’s at 12.6 percent. It’s almost as if his breaking pitches are actually breaking. De Leon had a fantastic first game against Mariners’ prospect and fellow Puerto Rican Edwin Diaz (5 IP, 1 H, 2 R, 0 ER, 1 BB, 10 K) before stumbling a bit in his second start. Despite the good start, De Leon was placed on the 7-day disabled list. Word is it’s a minor groin injury and he shouldn’t be out too long. Reports of diminished velocity combined with a short outing last time out led me (and others, I’m sure) to expect the worst. Thankfully, it sounds like something he’ll be able to get over quickly. There have been other strong performers (Zachary Bird, Victor Gonzalez, John Richy), but I’ll let Chad touch on them at the end of the month. Also, this is another example of #sss, which is impossible to avoid in April. But the early returns are encouraging on many levels. Urias’ absurdity, Anderson’s step forward, Lee’s resurgence, De Leon’s dominance — these guys only help to strengthen and reinforce the fact the Dodgers have one of the top farm systems in baseball.